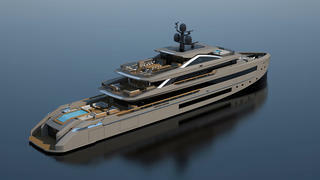 Italian yard Tankoa Yachts has revealed a new superyacht project called S621 today (September 29) at the Monaco Yacht Show. Measuring 62 metres LOA, this steel-hulled yacht features exterior design by Francesco Paszkowski and naval architecture by Vincenzo Ruggiero. Paskowski worked with Margherita Casprini for the interiors on the Tankoa S621, which are inspired by the yard’s 2015 launch Suerte and the in-build S501, but with even larger windows. 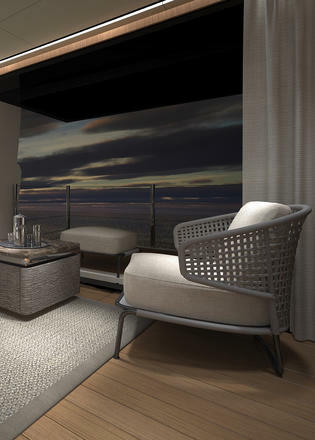 The total guest and crew accommodation is yet to be confirmed, but the full-beam master suite includes a private lounge, separate office, and fold-out superyacht terrace. Moving aft and the main saloon on the Tankoa S621 features a dining area with seating for up to 12, and a lounge with two facing sofas and four armchairs, creating an area that the yard describes as harmonious and elegant. Other key features on board include a huge superyacht beach club, reminiscent of much larger yachts, and an aft-deck infinity pool. For a smooth ride and a comfortable night’s sleep at anchor, Tankoa will be fitting zero-speed stabilisers from Vosper Naiad. Power comes from a pair of 1,851hp Caterpillar 3512 engines for a top speed of 16.5 knots and a maximum cruising range of 4,500 nautical miles at 12 knots. 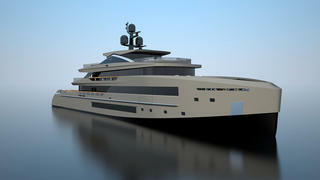 With a beam of 10.4 metres, the Tankoa S621 will have a maximum displacement of 900 tonnes.